Provide programs and events to members and the public promoting fly fishing as a family-oriented and environmentally friendly activity, and to treat fisheries as a valued resource. 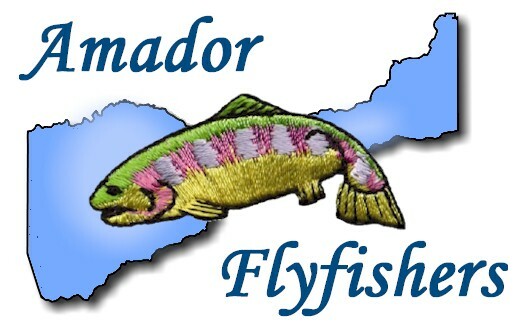 Amador FlyFishers (AFF) is a family-oriented club established in 1991 to provide an opportunity for persons interested in fly fishing to SHARE information with others, LEARN from others, EXPERIENCE fly fishing at various fisheries, and PROTECT fisheries for future generations. If you would like to be notified when the next class is announced, please click here. You will receive an email when a new class is scheduled. AFF is using Meet-Up for scheduling our activities. Meet-Up is a web based application that has been well tested and widely used by various organizations to plan and facilitate events and activities. It simplifies sign-ups and automatically generates a calendar of events. It even provides the capability of making important documents directly available to its members. Click here to access Meet Up. Please note that sgning up as a Meet-Up member does not mean that you are a paid member of AFF. We do encourage all of our Meet-Up members to join in our club activities and become paid members. Click here for the AFF membership form. Likewise, we encourage all of our paid members to sign-up as members of our Meet-Up group because in the near future, accessing meetup.com/amadorflyfishers will be the best way to learn about our club activities and and outings.